Bedrooms are made for relaxing and getting away from it all. 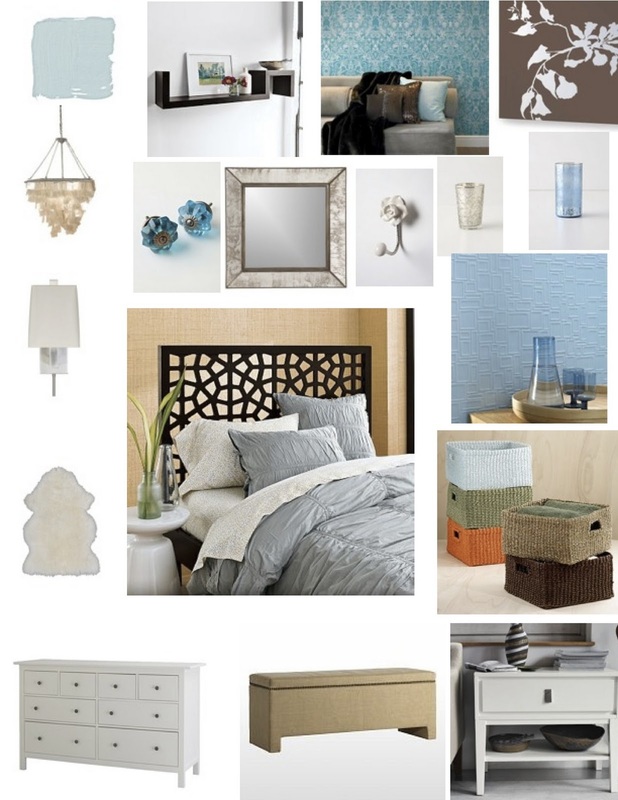 This design palette with cool, serene blues and rich, dark chocolate browns will do just that. Update your dresser with some knobs in colored glass, and keep all your clutter off the dresser by using sleek shelves and pretty hooks. A cushioned bench with storage is perfect for stowing away extra pillows and throws, when you go to bed. Add some luxury to your bedside manner with a chic shag rug in white, and keep your night tables clear by using wall sconces instead of table lamps. Remember to think about your closet and dressing area when you are decorating your bedroom. Use shiny votive cups to keep your makeup brushes and pencils in order, and maximize small spaces by using baskets to keep scarves and belts in order, as well as your seasonal accessories like hats and gloves.